A New Era of Cooperation in the OTT World - Is Peace Possible? Blog A New Era of Cooperation in the OTT World - Is Peace Possible? In the wake of the massive disruption of the traditional telecom industry as Internet-based Real-Time Communications (RTC) service have been taking "over-the-top" (OTT) by challengers, and growth of popular applications like Facebook Messenger, WhatsApp, Facetime and dozens more shows no signs of slowing down, the International Telecommunications Union (ITU) is stepping up to lead an open discussion on global public policy. While there are hundreds of different regional and national regulatory initiatives underway, aiming to protect individuals' privacy, identity and safety, while also designed to help protect the often longstanding investments in infrastructure including through governmental investment in large scale networks, until now there has been no formal platform for discussion across the globe - and the ITU's Council Working Group (CWG-Internet) is well-suited to organize, moderate and even mediate. Wildly successful and global digital companies like Google, Facebook, Microsoft, Apple and others argue that they, too, have made multi-billion dollar investments in the software and operating systems that support OTT services, while also consistently noting that they themselves are major customers of capacity providers like AT&T, BT, Telefonica, Tata, and others. The economic issue, at its highest level, is the difference in profit margins for the "carriers" when they are selling wholesale vs. retail services. But even more damaging is the loss of consumer subscribers and small and medium business customers, with impact in enterprise communications customers now being felt as OTT services get better and better, and more and more people, including millennials, catch on that these services are a lot more fun to use, a lot more convenient, and a lot less expensive. For years, too many traditional telecoms resisted their own "digital transformation" and opportunities to reposition as Communications Service Providers, able to offer even better OTT services than the challengers - this was seen as eating into their own revenues, particularly in voice, even though they had succeeded to benefit from the movement to VoIP starting at the turn of the century. Slow to respond, many are now in a bind, if they have not responded by now, and getting hit on all sides, from landlines being disconnected to increasingly competitive data plans. It's easy to see why "telecoms" small and large might be interested in contributing to the ITU's Open Discussion, but in order for that discussion to lead to the kind of "equilibrium" being sought, it's critical for members of the ITU to take a more active role and invest not only in physical infrastructure, but digital as well - and we're seeing that finally blossom with the advent of NFV and SDN networks that make selling OTT services a lot easier. Reminiscent of the interconnection agreements built technically and economically over many decades, the ITU is leaning into policy and regulatory territory, which itself feels counter-intuitive in a world where open-source and completely different business models are "eating the world." Perhaps the ITU is starting to see itself more of a "Linux Foundation" than old-school "United Nations of Telecom" - which is a very exciting idea. 1- What are the opportunities and implications associated with OTT? 2- What are the policy and regulatory matters associated with OTT? 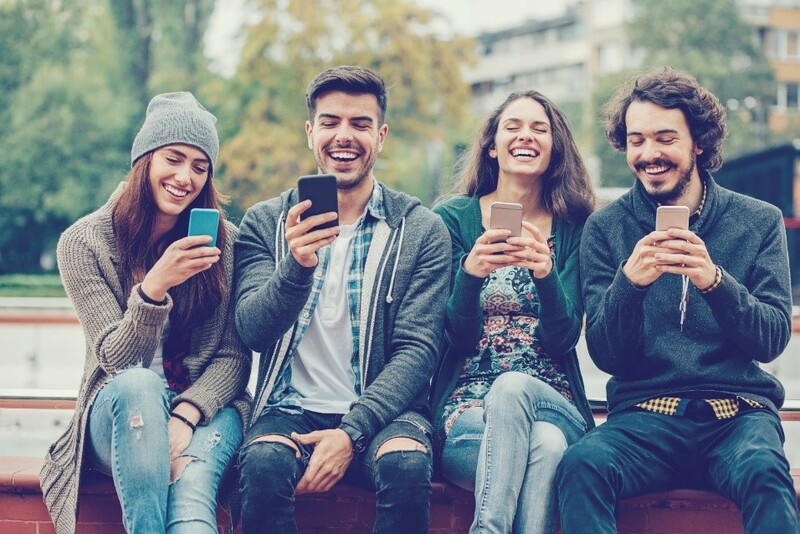 3- How do the OTT players and other stakeholders offering app services contribute in aspects related to security, safety and privacy of the consumer? 4- What approaches might be considered regarding OTT to help the creation of environment in which all stakeholders are able to prosper and thrive? 5- How can OTT players and operators best cooperate at local and international level? Are there model partnership agreements that could be developed? Views are being accepted via a web-based application (http://www.itu.int/en/council/cwg-internet/Pages/consultation-june2017.aspx) until the middle of August, and those views will be consolidated and made ready for a physical meeting in mid-September at the ITU HQ in Geneva, Switzerland. A healthy and interesting exercise? For sure. But the answer to the question of how CSPs can compete in the future of OTT, which itself is adapting and being redefined as it grows, may not ultimately be found in even as grand a process as this, led by a very honorable and reputable group of global leaders. What's working today is innovation - plain and simple - and successful strategies to fight back with competitive services, which is exactly what our customers are doing, leveraging our years of R&D, bringing the Kandy Communications Platform as a Service (CPaaS) to them, so they can spin up service offerings that offer not only better quality audio and video for the most high-definition hungry consumers, but more security, more convenient, and more integration with applications, including embedding RTC into e-commerce, workflow, CRM and more. Companies like Deutsche Telekom (and T-Mobile), who launched immmr based on our software combined with their awesome network, and many others, too many to list here, are winning the OTT battles and will win, we believe, the war when the early OTT services are left behind as the companies investing in infrastructure AND services build momentum. 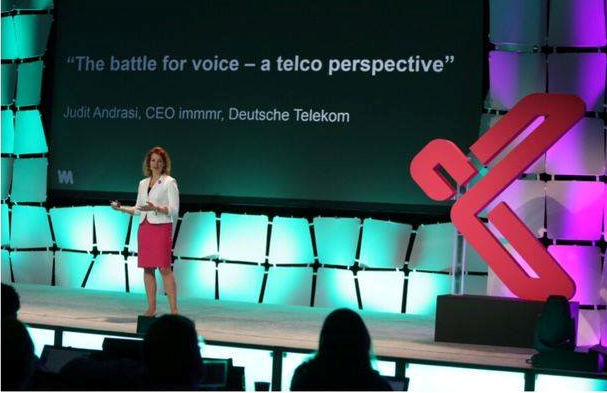 Judit Andrasi, CEO of Deutsche Telekom's immmr, shared immmr's strategy at Perspectives17 where we brought together over 600 of the top people across telecom, cloud, software, systems integration, and enterprise verticals to take a deeper look into the future of how humans - and machines - will communicate decades from today. It's been the adventure of a lifetime to have the backing of GENBAND's investors in order to build a platform we are exceedingly proud of, and to help the RTC industry move forward with modernized and virtualized networks, cloud-based and software-driven services, and the innovations our customers and partners are leveraging for their own digital transformations. The fact is, nearly everything is being disrupted, up and down the increasingly open stack, fed by this generation's interpretation of collaboration and connection which the ITU's founders manifest in a different way, at a different time. What will never change is the urge for people to talk and share, communicate and come together. What will never change, and what is only becoming even more apparent, is that RTC is fundamental to how we govern, how we heal, how large enterprises, educational institutions, governments and organizations make progress and create value, and perhaps most importantly the narrowing of the "digital divide." We cannot discuss this openly enough, but as new insights, new willingness to cooperate, new regulations protecting privacy and security, and new rules of the game emerge - let's always remember that successful and profitable businesses, including those "operators" who have made our world possible through trillions of dollars in investment helped us get to this point. Those same companies can now push themselves even further, pivoting their investments to services that run better on their infrastructure, stop worrying about the declines, and focus instead on building for growth.